Robert Goodall was born in Leslie, Fife on 28th May 1833, the third son of Robert Goodall, stationer and his wife Ann Russell. Educated at the local school, young Robert joined his father in the family business before being “ferried” across the water to Edinburgh (his own words) to begin his apprenticeship in the paper trade in 1847. The thorough training which he received there gave him the foundation of a career which ultimately took him to Glasgow and the very front rank of his profession with the firm of William Collins & Sons. He travelled throughout Scotland, becoming one who was known, not just for his business skills, but also as one who would go out of his way to do a good turn or help a struggling workman or colleague. In January 1908 a grand banquet was given in Robert Goodall’s honour, celebrating his Jubilee in the paper trade. 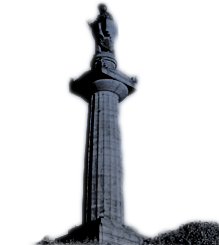 The great and the good of the city of Glasgow were present to acknowledge, not just his contribution to the paper trade in Scotland, but also his support of the literary and cultural activities of “The second city of the Empire”.